Action Lock Services is one of the largest and most experienced locksmiths in Perth and surrounding areas. We have over 25 years experience dealing with safes. Whether you are in the market for a new safe for your personal belongings and valuables in your home, or you are looking for more secure storage at your office or commercial building, we have a wide range of selections and custom solutions. Phone us up or stop by our shop just off the freeway on Erindale Road to discuss your needs. Action Lock Services offers many custom safe services and solutions for both home and local businesses. We have a large supply of safes in our shop located in Balcatta, Perth with a large inventory of many kinds of safes. We can help you choose the safe that will fit your needs most closely and walk you through the process the whole way. Action Lock Services offers both the supply and installation of all types of safes for your home or business, no matter if you need a small, secure bed side safe for a few of your valuables, or things you would like to keep away from your children, or larger, floor standing safes to serve as a secure location for larger items such as artwork. 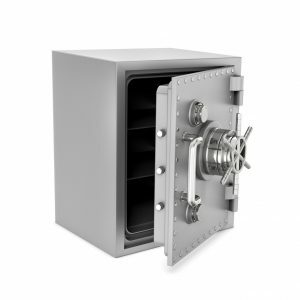 We also provide safes and secure storage solutions of all sizes and designs for businesses of all types. you have been locked out. We can open any safe, no matter if they have a traditional combination lock, or more modern safes secured by a digital keypad lock, no matter the safe, we can open it for you. If you have a safe with a key and would like new keys cut for the safe, we can cut them for you. Whether you have lost your current keys or simply need more keys supplied, all we will need to do is come out and inspect the safe. We are also experts at safe repairs, servicing and routine maintenance. If you are having any problems with your current safe, or if you just have a safe that hasn’t been inspected or serviced for a while, we can send a qualified, professional safe locksmith to your home or business to inspect the safe and repair or service it for you. We service and repair all makes and models of safes in Perth and the surrounding areas. eeds are, Action Lock Services will have you covered. Whether you need a new safe for your home or office, or need to rekey or cut new keys for your current safes, or even if you are locked out of your safe, or your safe is broken, call Action Lock Services today and we will have a professional, certified locksmith sent to your location to help you with your needs. Supply and Installation of All Types of Safes – Whether you would like a small, freestanding safe in which to store jewelry and other small items of value, or a large floor safe that provides a secure location to store cash, works of art, and anything else in your home that is particularly valuable to you, we can help. We are experienced in installing all kinds of safes. Opening All Types of Safes – We can open safes of all types, including those equipped with traditional combination locks and modern digital keypad locks. If you are looking for a locksmith in Perth with the knowledge and expertise to help you gain access to your valuables, call and talk to us today. Safe Repairs and Servicing – Whatever issues you may be experiencing with your safe, we can visit your home or office and fix it for you. We service and repair all makes and models of safe in Perth and the surrounding area. Shop Sales of Safes – We stock a wide variety of safes: visit our shop in Balcatta, Perth whenever you are in the area and we will be delighted to help you choose the most suitable model for your needs. Cut Safe Keys – As a highly experienced Perth locksmith, we can cut keys for your safe if you have lost them or would simply like more copies. You can supply us with an existing key or the relevant code, or, if you have neither, we can come to your property and inspect the lock ourselves. Upgrade Locks to Digital Keypads – Digital locks are faster and more convenient than traditional dial combination locks. Furthermore, they allow you to change the combination to access your safe whenever you wish, without having to pay a professional to come out and do it for you. Supply and Installation of Gun Safes – Action Lock Service can come to your home or business premises and fit a gun safe for you. We can also supply you with a brand new safe, at a very affordable price. We understand how important it is to have a completely secure place to store your guns and will help you to ensure that your firearms are kept out of harm’s way when not in use. Professional Advice – If you are not sure what type of safe to buy or you already have one but would like some professional advice on how best to install and use it, please feel free to call us during business hours. We have helped many companies and individuals in the city to choose and install safes that meet all of their requirements. If you have any questions about our safe services, we would be happy to answer them: You can speak to a member of our locksmith team by calling during business hours. Alternatively, send us an email with your contact details and we will get back to your shortly.